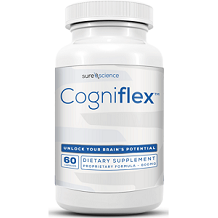 Today we review Sure Science Cogniflex. This special formula is designed not only to give you more energy to complete tasks, but it also improves your cognitive function so you can do those tasks better. By increasing your concentration, improving your creativity, and engaging your memory recall, this supplement claims to be the best at keeping your focused and alert throughout the day. With so few ingredients, this supplement clearly deals with a more immediate effect, keeping you alert and focused right after taking this supplement. Unfortunately, this leaves this supplement as only a short term option, instead of adding additional nutrients that can cause a more long-term effect. After thorough research, we found no dosing instructions available on the product’s website. Without this information is is extremely difficult to truly review this product. Not listing this information shows that this product may be less effective, and that the manufacturer is trying to hide things from the consumer. There are no listed side effects or warnings anywhere on this supplement’s website. Again, this follows the claim that the manufacturer is hiding information from customers. Even the safest supplements have legal warnings, like telling pregnant and breastfeeding women to speak with their doctor before beginning a new dietary supplement. Each bottle contains 60 capsules, but without proper dosing instructions, it is unclear how long this bottle will last. The manufacturer’s suggested retail price per bottle is $68, which is extremely expensive for a product like this. If you make your purchase online, one bottle only costs $48. The manufacturer also offers bulk discounts to bring the price down.If you buy 2 bottles at the online price, you will receive one bottle for free. Additionally, if you purchase 3 bottles, you will get 2 free, which brings the total price per bottle to only $28.80 each. Both of these package deals also come with free shipping. Even this lower price is still more expensive than other similar products. This company does offer a 30 day money back guarantee. If, within the first month, you find yourself unhappy with this product, you can get a full refund for your purchase price. Unfortunately, most dietary supplements take time to build in your system, and therefore this short of a guarantee does not give you the time you need to properly trial this product. There are a few things we liked about Sure Science Cogniflex. 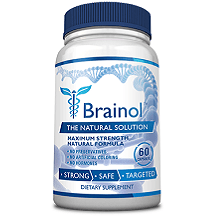 The ingredients listed in this supplement are proven to help boost your mental focus and clarity temporarily. Also, there are many discounts available when you purchase this product in bulk. Unfortunately, we found more negative points than positive when reviewing this supplement. While the ingredients will help boost your brain function, these effects are only temporary, and will wear off quickly. Secondly, there was no dosing information and no information regarding side effects or warnings for this product. Next, even with the available discounts, these capsules are extremely expensive. Lastly, with only 30 days to request a refund, you will not have enough time to truly see if this supplement will give you the expected results. For these reasons, we cannot recommend this supplement to help you improve your focus and overall cognitive function.